Fire stimulates the imagination, and flames create a unique atmosphere in living areas. 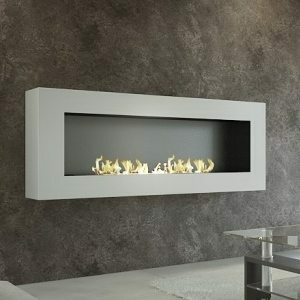 The “SASA” ethanol wall mounted fireplace collection plays with geometric shapes and adapts to the designs of all rooms. With ever more technological innovations in security and user friendliness, this range of exclusive bio fires is both modern and eco-friendly. The rise in the power of these high tech fireplaces gives the opportunity to enjoy the pleasure of fire all year, with the simple press of a button. 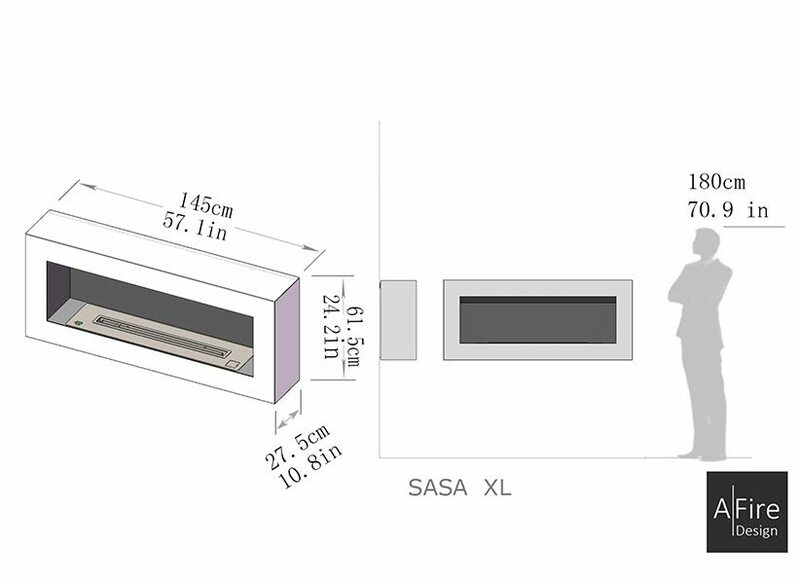 The AFIRE concept of the “SASA” wall mounted ethanol Fireplace allows for a modern and urban use of fire. 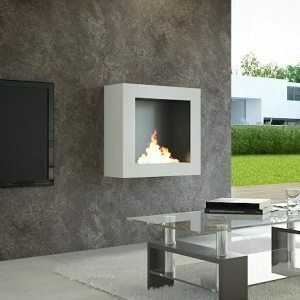 Smart, Simple and Secured, an AFIRE automatic ethanol wall fireplace offers the magic of a real fire with real flames. 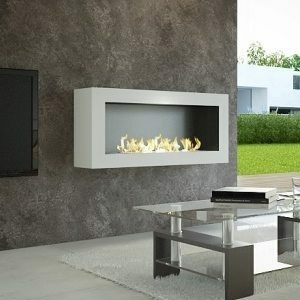 The main advantage of a wall-mounted ethanol fireplace is that it doesn’t take up any space on the floor. It is simply and quickly mounted to the wall with the mounting plaque provides.  AFIRE recommends that you place the wall-mounted fireplace at eye-level when seated.